Put your wild style on display by rocking our Macklin Vest from Jack by BB Dakota. 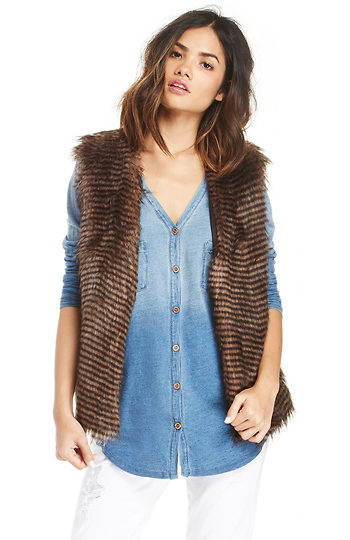 This sleeveless outerwear features a soft textured fair fur, open font, and full lining. Stylist Tip: Add a solid tee, statement necklace, and flared denim for a red carpet look.